Bladder Grabber Fast Combat top four, in order of finish, left to right: Champion Mel Lyne, Mike Hazel, Lee Letchworth, Mike Evans. Flying Lines photo. 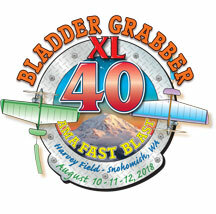 Seven-round Fast Combat tournament, Aug. 11-12, Snohomish, Wash.
Mel Lyne of Garibaldi Highlands, B.C., returned to the winner's circle in the 40th Bladder Grabber Fast Combat tournament by capturing his third championship with a flying record of eight wins and one loss during two days of intense big-block duels in a field of 20 of the nation's top Combat pilots. Lyne also won the Grabber in 2006 and 2008 (a back-to-back performance because there was no Bladder Grabber in 2007). 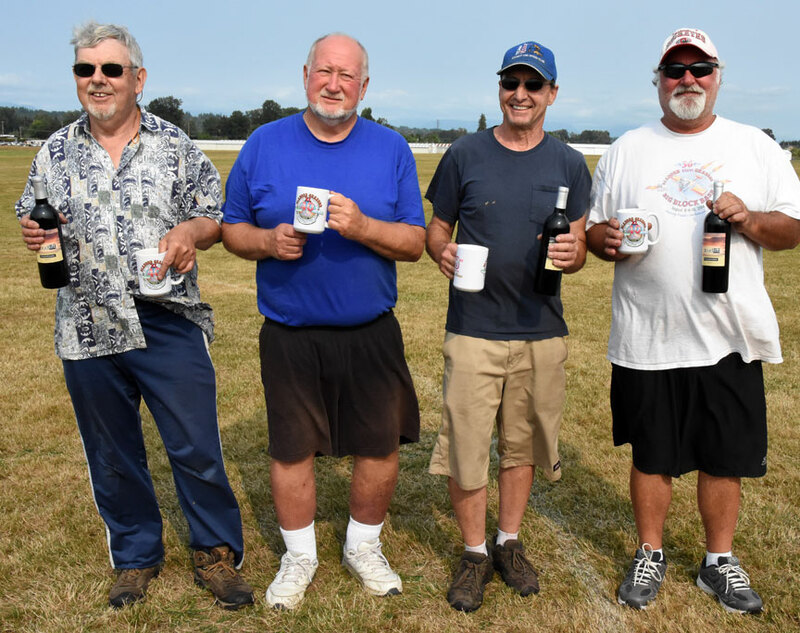 The victory in the 2018 tilt came with a decisive kill over Mike Hazel of Mehama, Ore., in the final match. 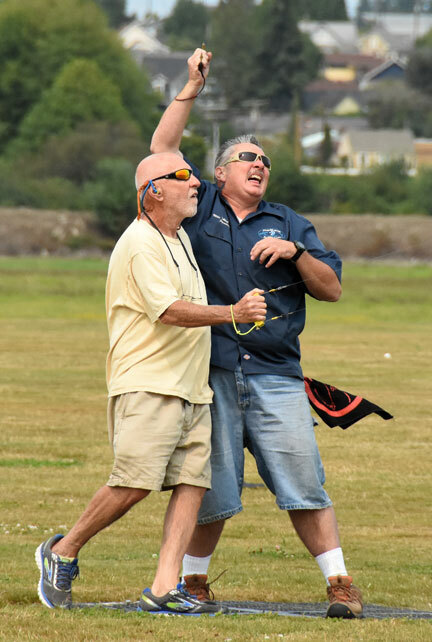 Lee Letchworth of Rodeo, Calif., took third place by beating Mike Evans of Cincinnati, Ohio, in the flyoff. 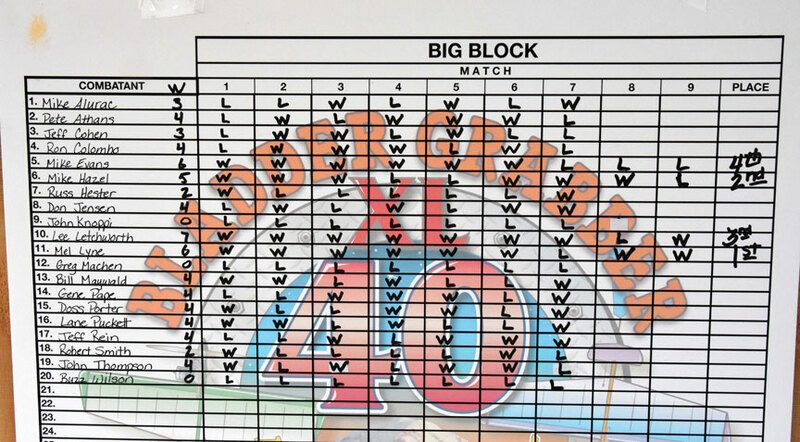 The Bladder Grabber followed the format of recent years by having all contestants fly seven matches, with match records used to determine semifinalists. Letchworrth went 7-0 in the rounds, Lyne and Evans went 6-1, and Hazel 5-2. 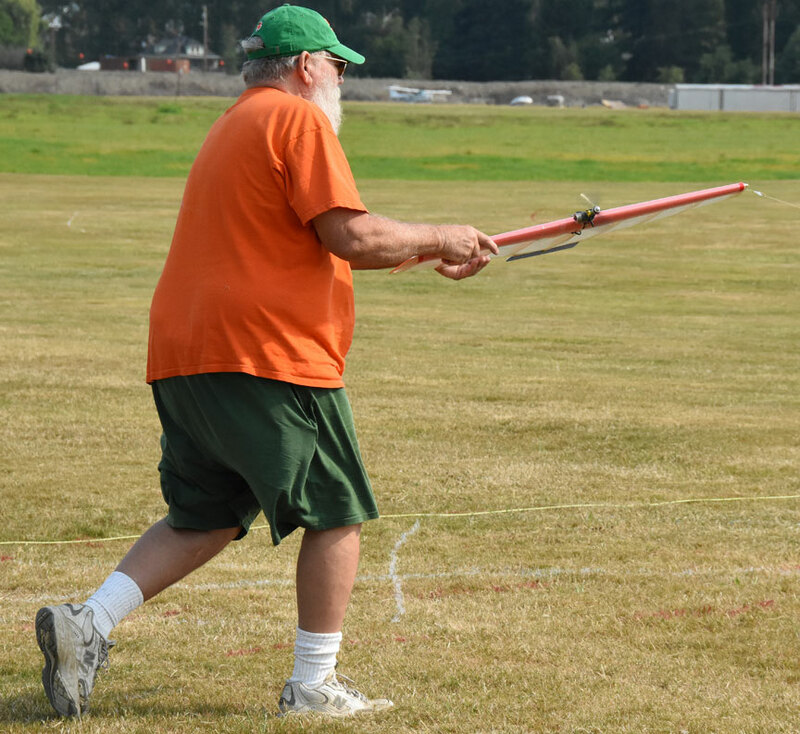 Gene Pape of Eugene, Ore., topped a field of 20 entrants in Friday's preliminary event, double-elimination High-Performance 1/2-A Combat. Pape had a 6-1 record, topping Pete Athans of Pine Mountain Club, Calif., in the final match. Robert Smith of Roy, Wash. finished third and Don Jensen of Pomona, Calif., was fourth. 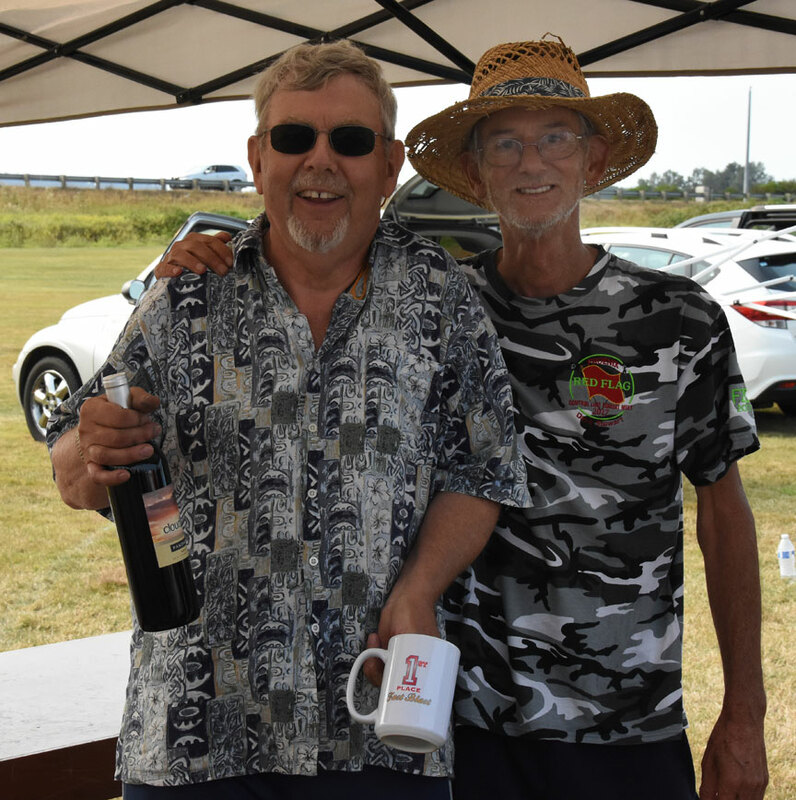 Winners of both the Fast and 1/2-A events went home with $1,000 cash prizes, along with souvenir mugs and a bottle of fine wine. 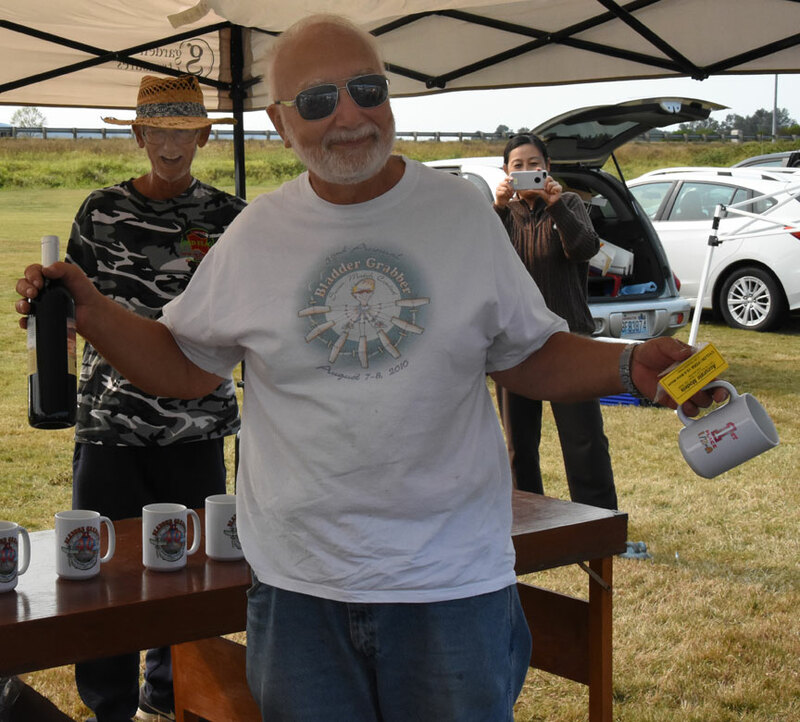 All others in the top four of event event got cash, mugs, wine and other prizes. 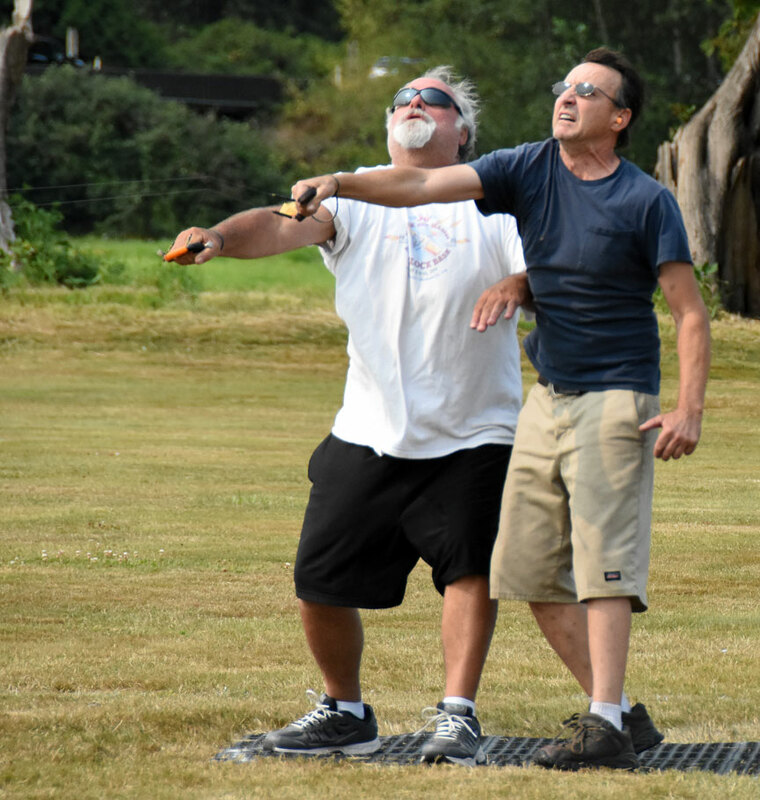 It was another smoothly run contest under the management of Jeff Rein, who was the director and lead judge for the 21st consecutive year, assisted by Tony Huber, Buzz Wilson, John Knoppi, Chris Gay, Wanda Jensen and other volunteers. 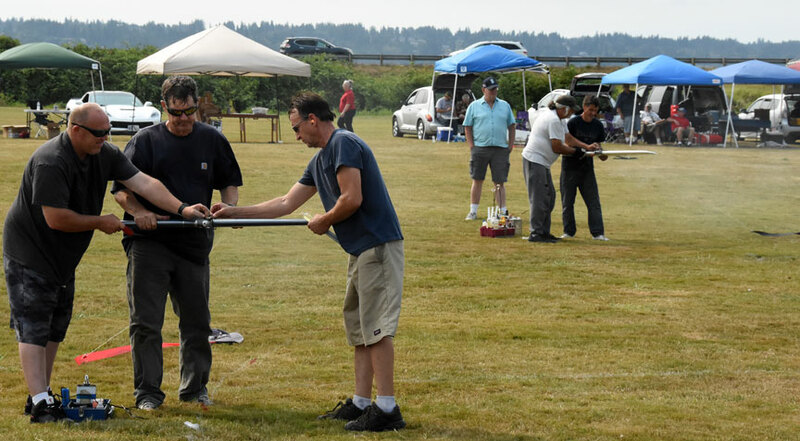 The contest provided lunch for the contestants all three days. Weather was warm and sunny on Friday, cooler with showers on Saturday, and mild and pleasant with an overcast on Sunday. 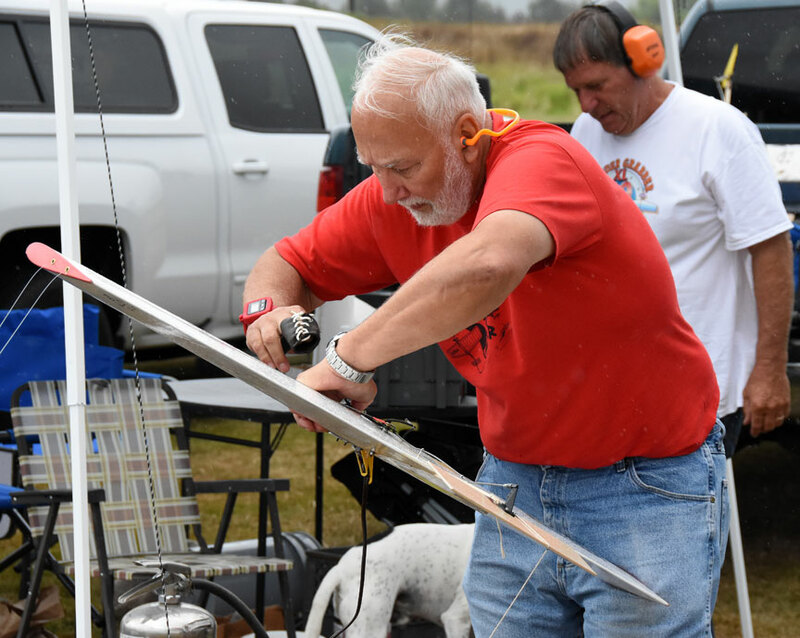 CD Rein indicated that plans already are under way for the 41st annual Gladder Grabber in 2019. The Fast Combat scoreboard. (Click for a larger view). Flying Lines photo. 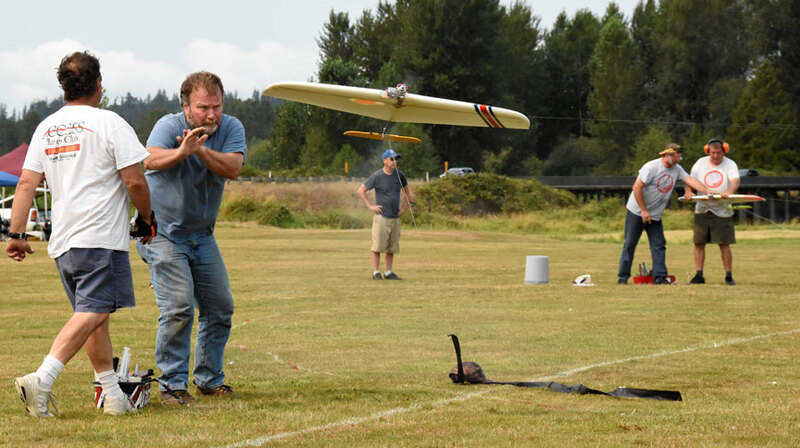 Lane Puckett launches a 1/2-A Combat plane. Gene Pape photo. The 1/2-A Combat winners' "podium." 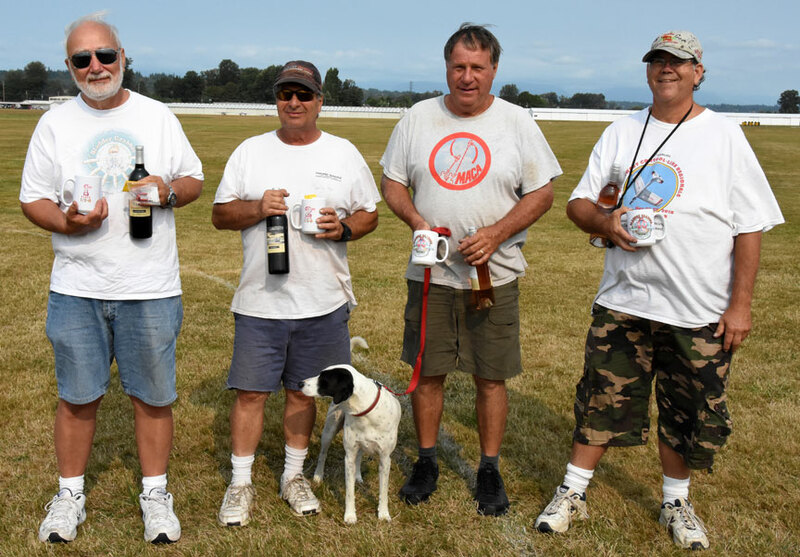 From left, in order of finish, Gene Pape, Pete Athans, Robert Smith (with Combat dog Sparky), Don Jensen. Flying Lines photo. Fast Combat champion Mel Lyne (left) with Contest Director Jeff Rein. Flying Lines photo. Gene Pape celebrates his championship in High-Performance 1/2-A Combat. Flying Lines photo. 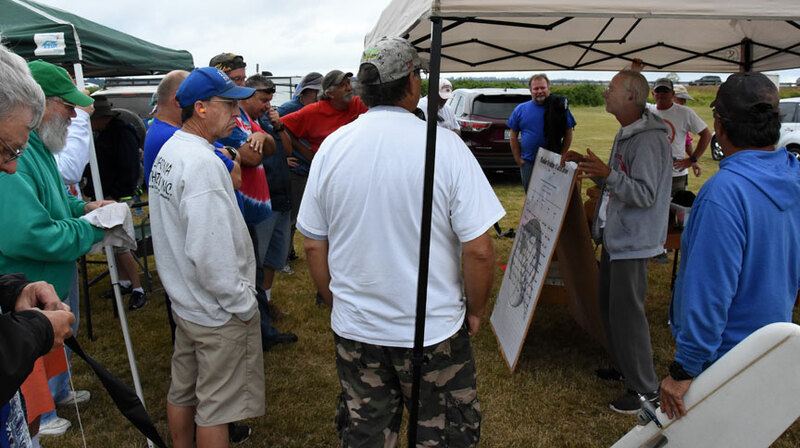 Contest Director Jeff Rein goes over the ground rules with the pilots on Saturday morning before the start of Fast Combat. Flying Lines photo. 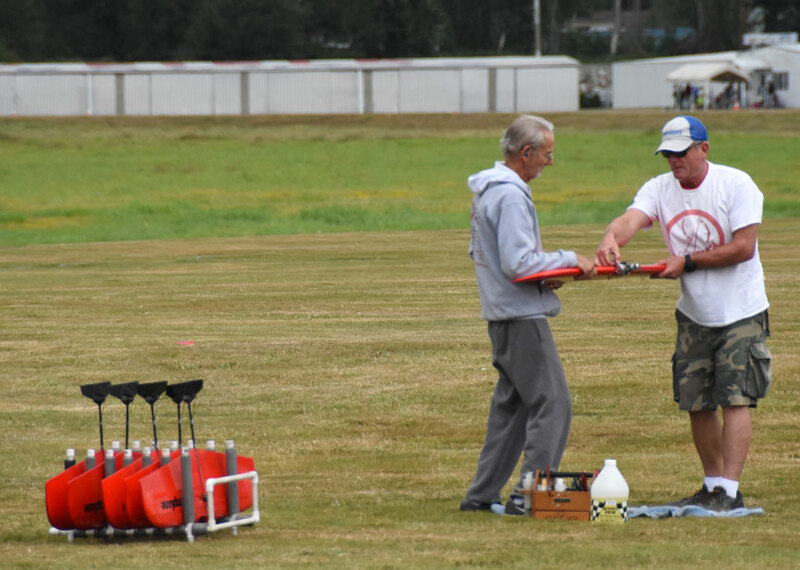 Teams get ready for the flyoff for third place: At left, starter Greg Machen (left) and pilot Lee Letchworth (right) tune the Nelson engine as Lane Puckett holds the plane. At right, Ron Colombo tunes Mike Evans' engine while Jeff Cohen holds (Mike is already at the handle). Flying Lines photo. Mike Evans (left) and Lee Letchworth battle it out in the match for third place. Letchworth took the victory and finished third. Flying Lines photo. 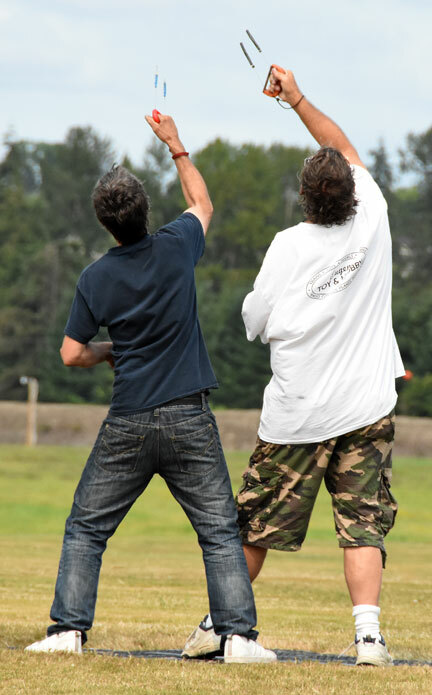 Fast Combat pilots' circle action: At left, Jeff Cohen (left) and Don Jensen battle. At right, Buzz Wilson (left) and Mike Alurac. Flying Lines photo. 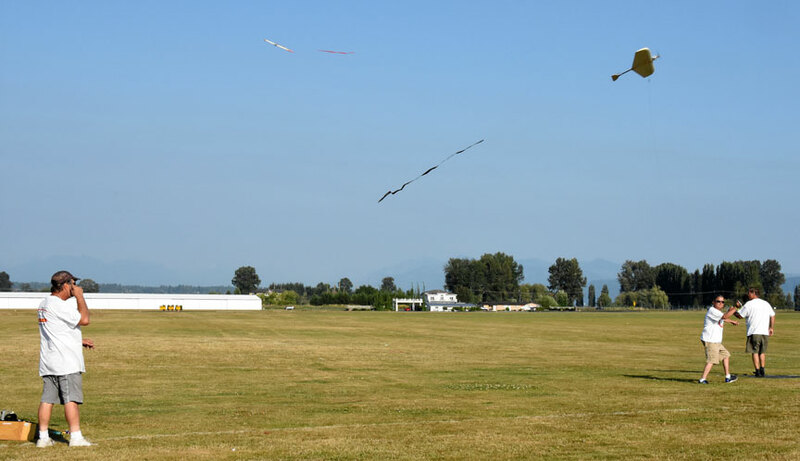 Jeff Rein managed the contest and also managed to compete, a monumental task. 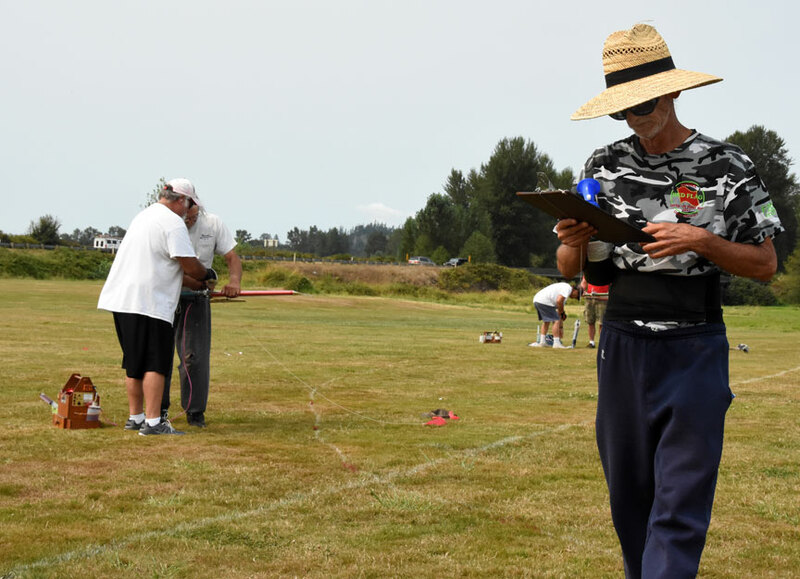 Here he checks the official clipboard while teams prepare for a match. Flying Lines photo. 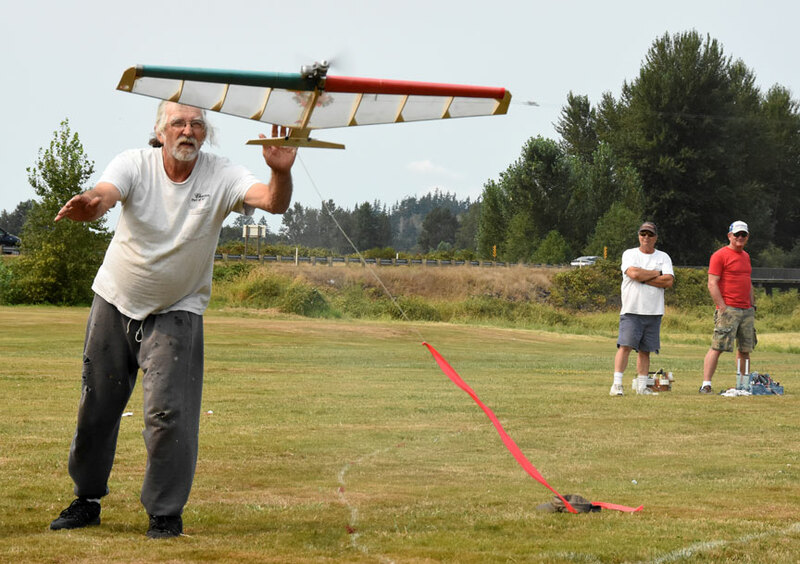 Ron Colombo launches Don Jensen's airplane in a match against Jeff Cohen, while Cohen's pit crew Pete Athans (left) and Bill Maywald watch from the other pit position. Flying Lines photo. 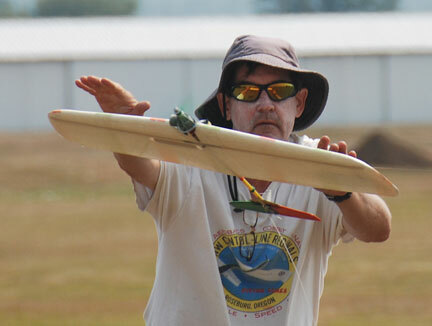 Buzz Wilson's plane glides in for an inverted landing after scoring a cut against Mike Alurac. Flying Lines photo. 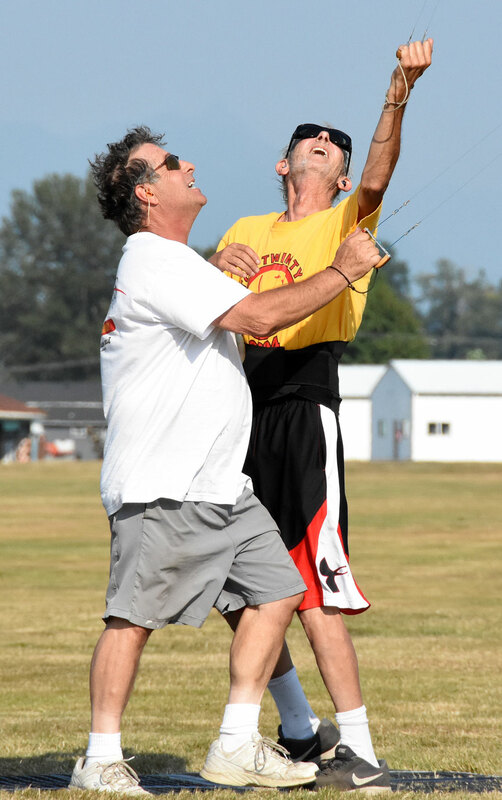 Russ Hester launches Mike Alurac's plane as starter Pete Athans steps away. 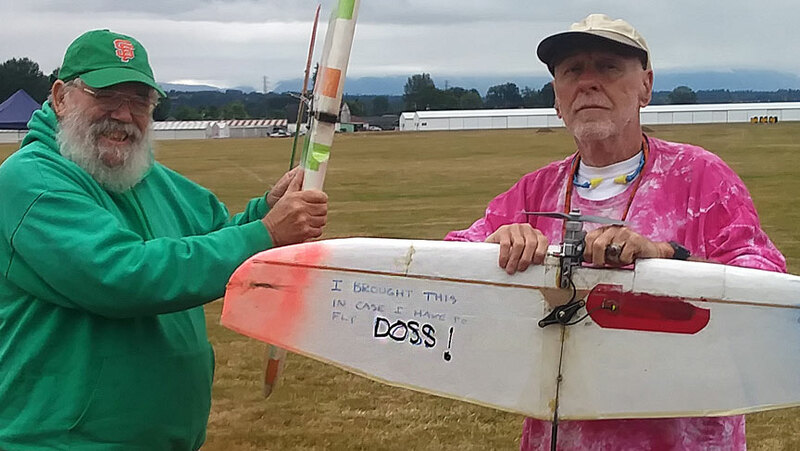 In background, starter John Knoppi and launcher Robert Smith prepare to release Buzz Wilson's plane. Flying Lines photo. A rack of ready-to-fly Fast Combat planes makes a good "before" picture ... Flying Lines photo. 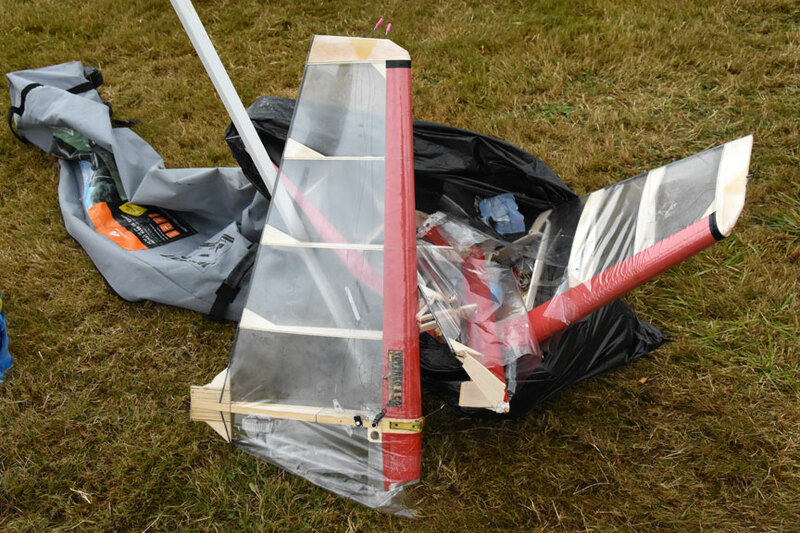 ... and here's an "after" picture -- a plane in the trash. Flying Lines photo. 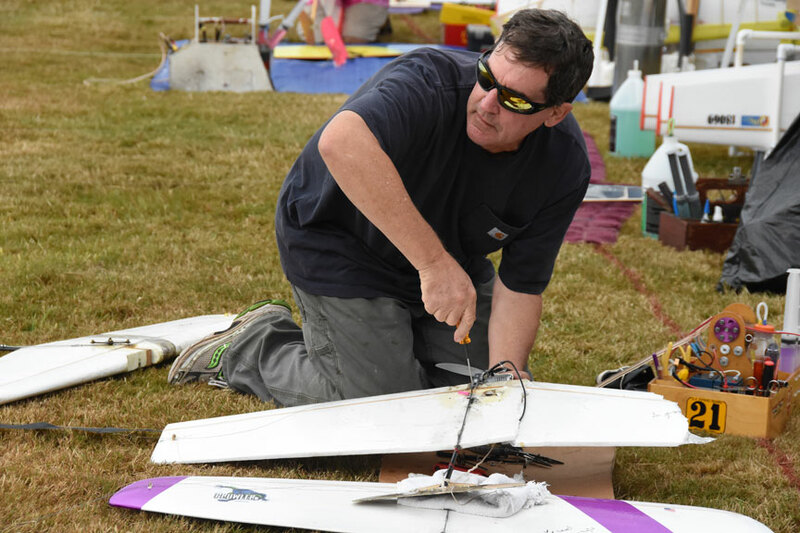 Lane Puckett removes the engine from a damaged plane as he watches the Combat action from the pits. Flying Lines photo. 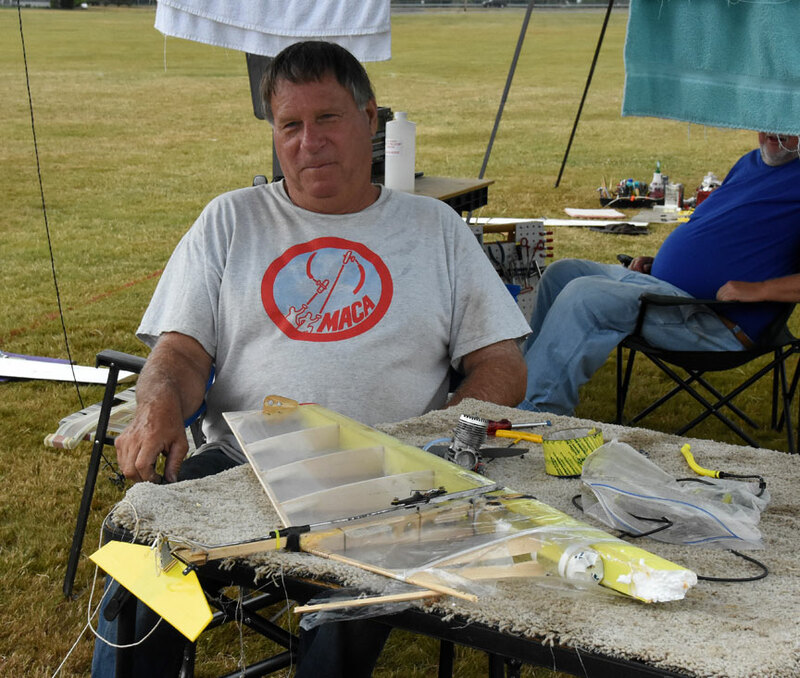 Robert Smith with another "after" airplane. Engine is off, ready to go onto another plane. Flying Lines photo. 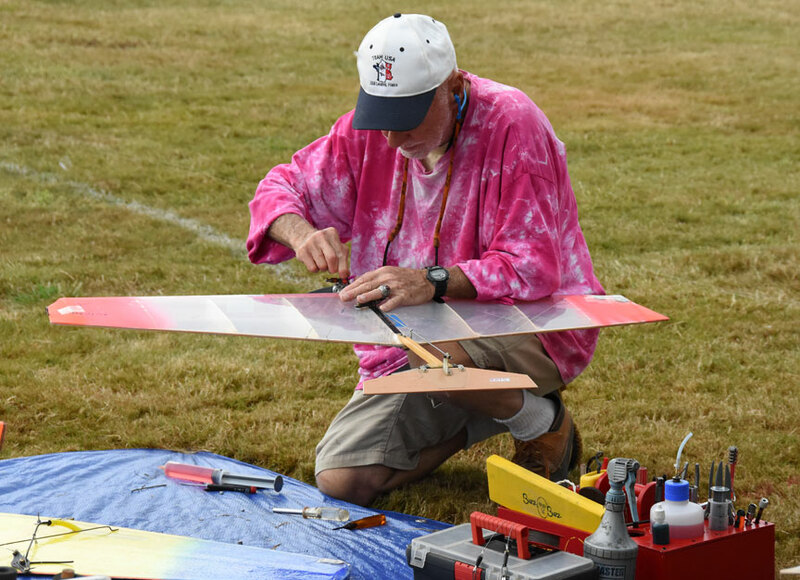 Buzz Wilson gets a plane ready for action. Flying Lines photo. 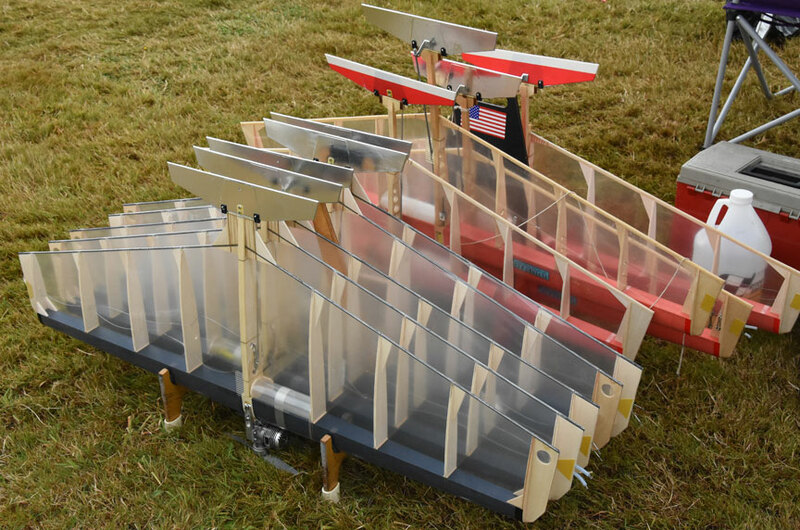 Jeff Cohen's Fast planes. Flying Lines photo. 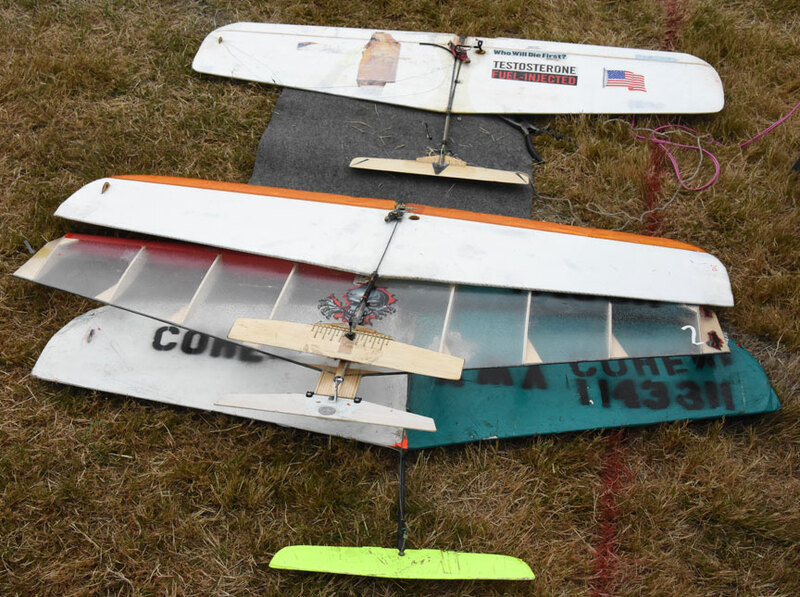 Two of Jeff Rein's planes ready for action. Flying Lines photo. 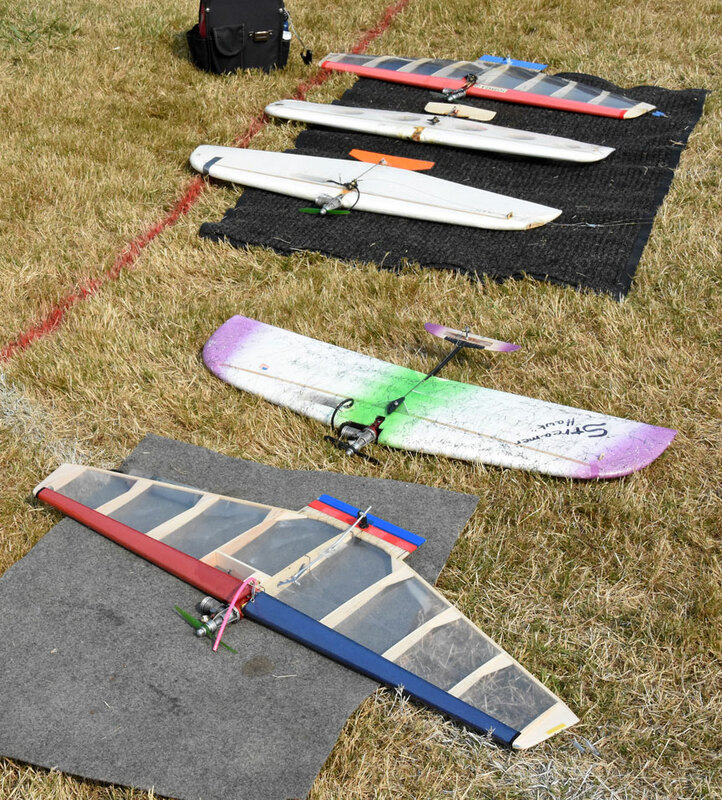 Fast planes waiting for the call: Front to back, Lane Puckett's plane, two of Doss Porter's in his trademark green and orange, two of Ron Colombo's and one of Mike Evans' Flying Lines photo. Mike Hazel flew this one-off plane built by Gene Pape, called Cheap Imitation (based on the Burdick/Rein R&B Ripoff). Flying Lines photo. The long pit line, before Saturday's start of action. Flying Lines photo. Gene Pape starts the Nelson engine on the Underdog he planned to use first on Saturday. Flying Lines photo. 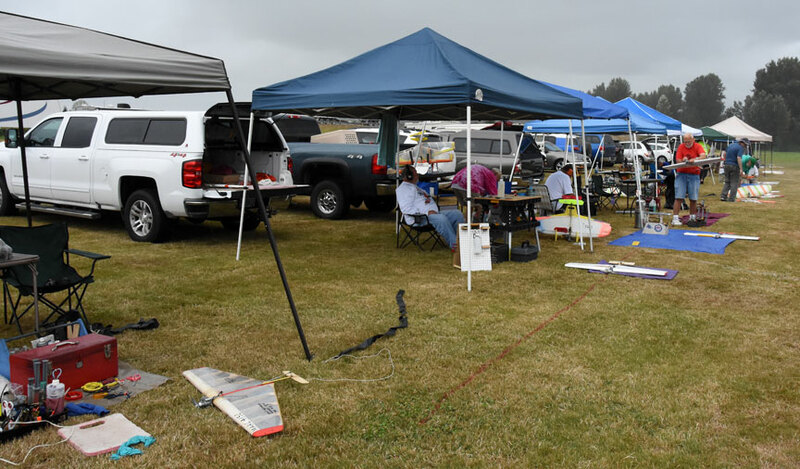 Pilots tested aircraft before the start of Fast matches on Saturday. 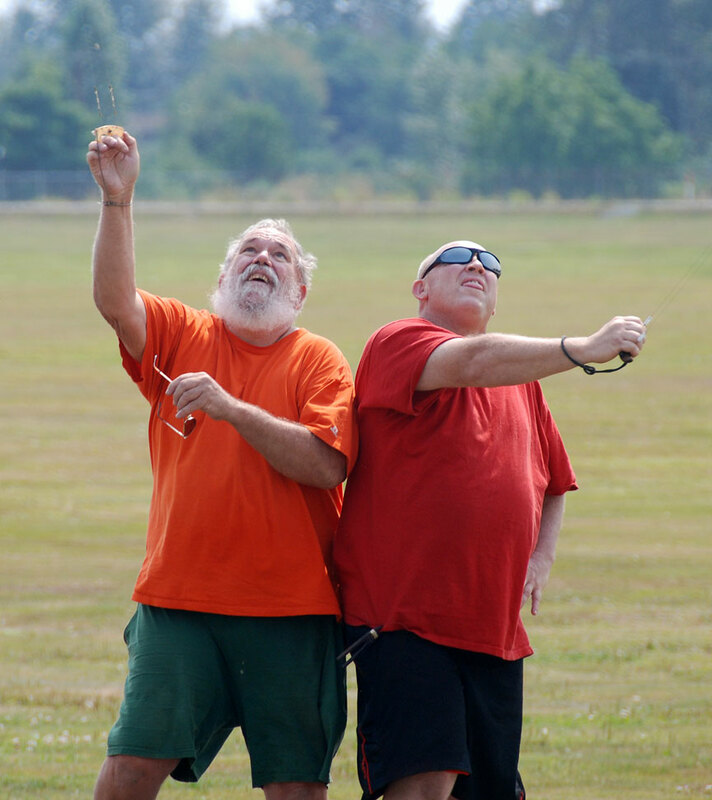 Above, Bill Maywald tunes his engine before a test flight of one his red planes, as Jeff Rein holds. Flying Lines photo. 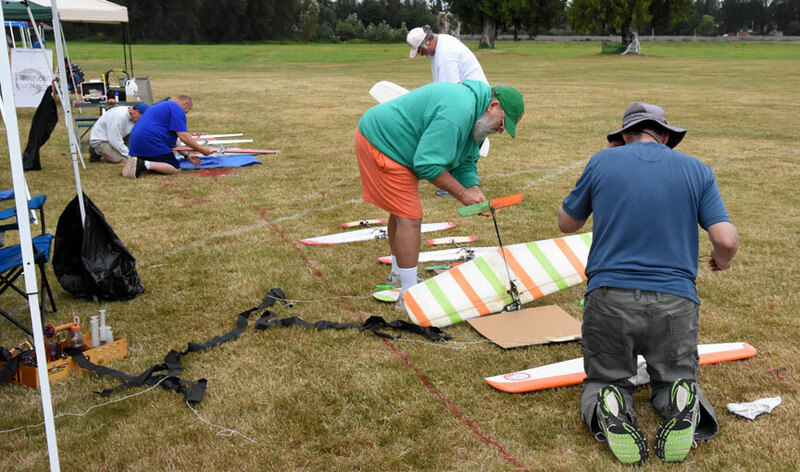 Contestants prepare their planes for action on Saturday morning. From left: Lee Letchworth, Greg Machen, Mike Evans, Doss Porter and Lane Puckett. Flying Lines photo. 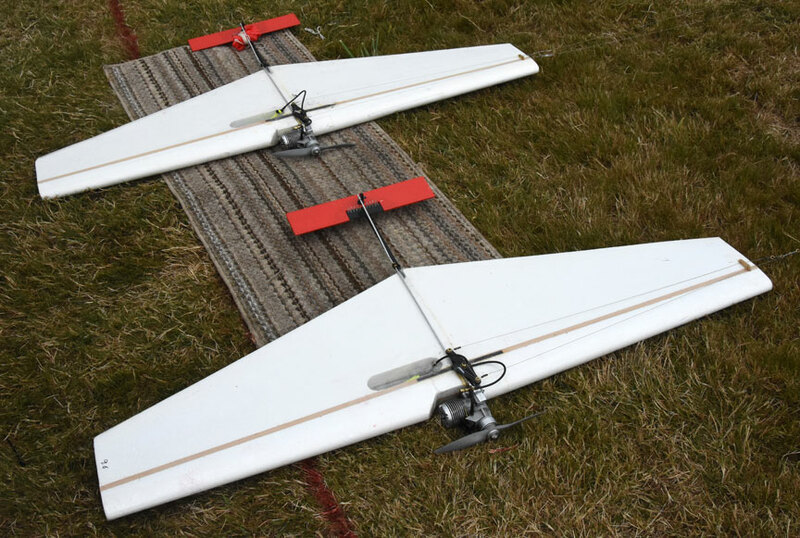 Both planes are up for a match in High-Performance 1/2-A Combat. Pitman Pete Athans watches as Chris Gay enters the circle, where Robert Smith awaits. Flying Lines photo. Action in the Robert Smith-Chris Gay match. Robert's plane is following. Flying Lines photo. Pete Athans (left) and Jeff Rein battle in 1/2-A. Flying Lines photo. Doss Porter (left) and Greg Machen duel in 1/2-A Combat. Gene Pape photo. 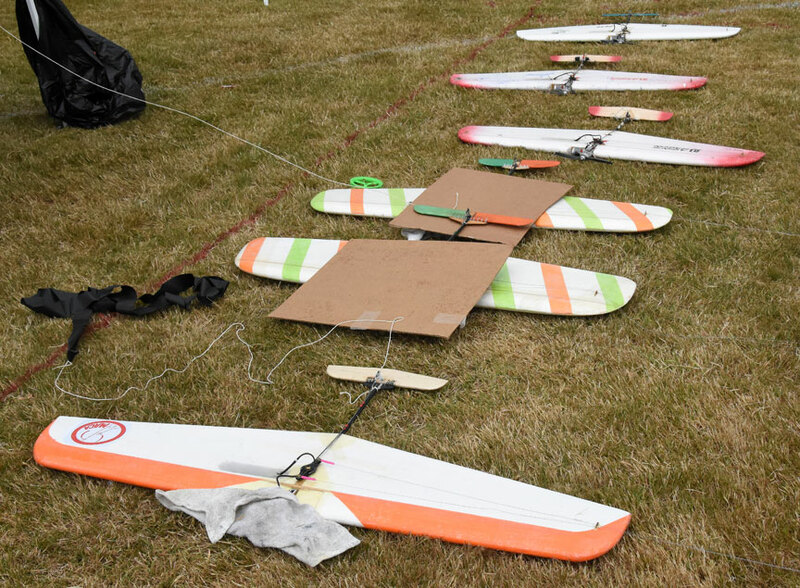 1/2-A planes ready for action. Engines were almost all Cyclon and Fora. Flying Lines photo. It's never hard to spot Doss Porter. Just look for the green and orange. Here he carries Lane Puckett's 1/2-A to the circle. 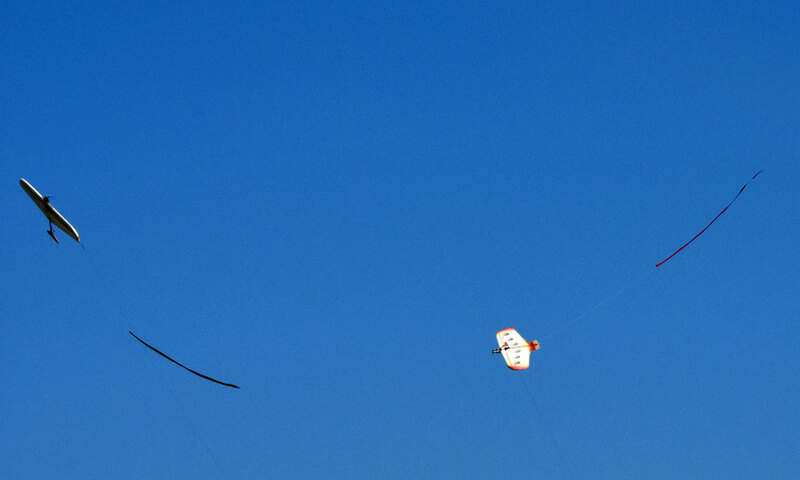 Flying Lines photo. Speaking of Doss ... Buzz Wilson made sure he was ready to take him on in the Combat circle. Gene Pape photo.